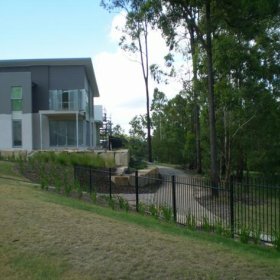 Mirvac Queensland Pty Ltd commissioned Lambert & Rehbein in August 2006 to undertake civil engineering consultancy works for their prestigious residential development at Melaleuca Drive, Brookwater. 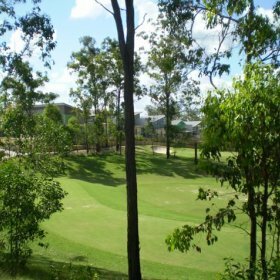 The development, over an area of 12 hectares, is situated within the Brookwater Master Precint Plan and is pocketed within the Greg Norman Designed Brookwater Gold Course. The 7 stage development will yield a total of 202 townhouses and small lots. 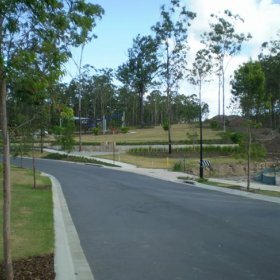 Stage 2 of this project involved the development of 34 townhouse sites and included both private and municipal works. 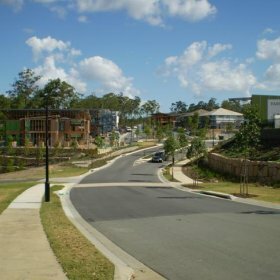 Lambert & Rehbein worked closely with Mirvac, their architect Mirvac Design, their landscape architect Place Design and Service Authorities during the planning, development application, operational works design and construction phase.